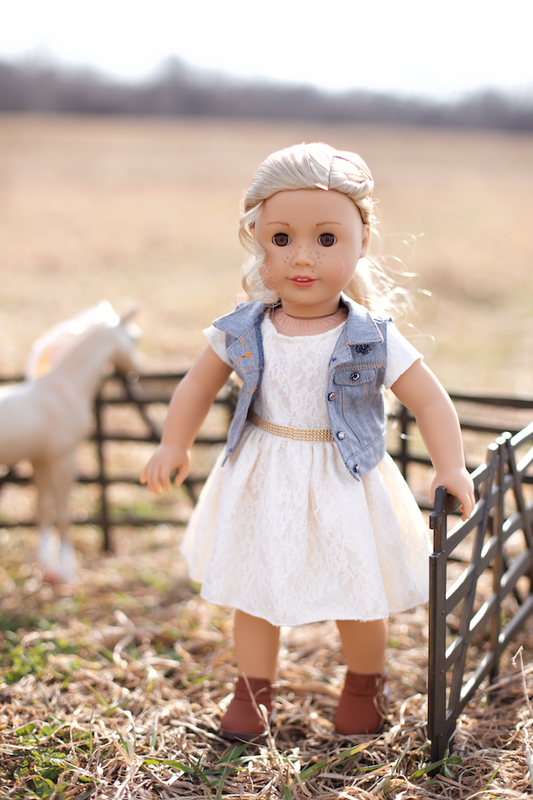 Another new doll from our homegirls at American Girl!! 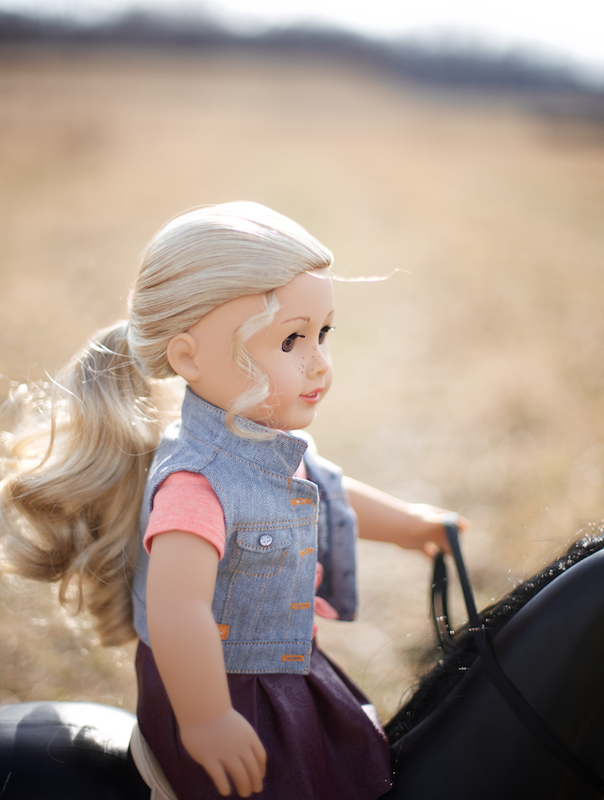 (I'm going to have to rename this blog "Dolls & Stuff". I'm so not mad about that.) Her name is Tenney Grant, and she's a singer/songwriter who plays guitar, from Tennessee. 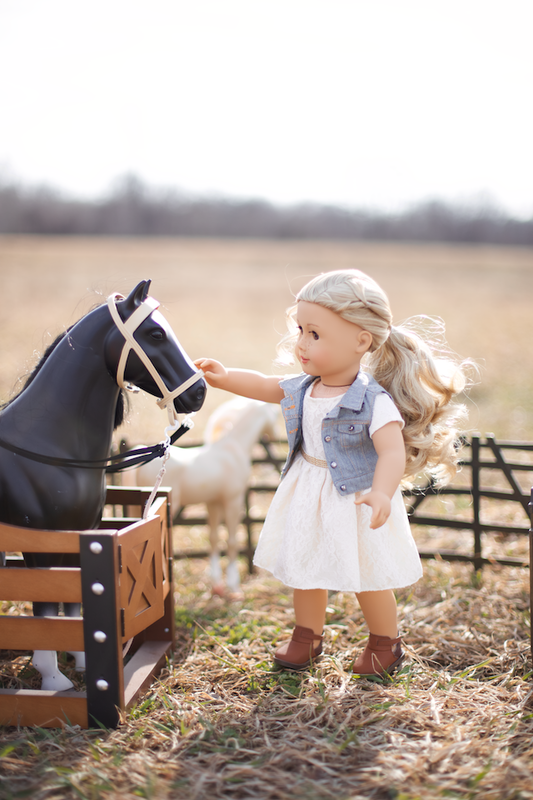 It was tough to choose between reviewing this doll and her friend Logan-the first ever BOY doll from AG! 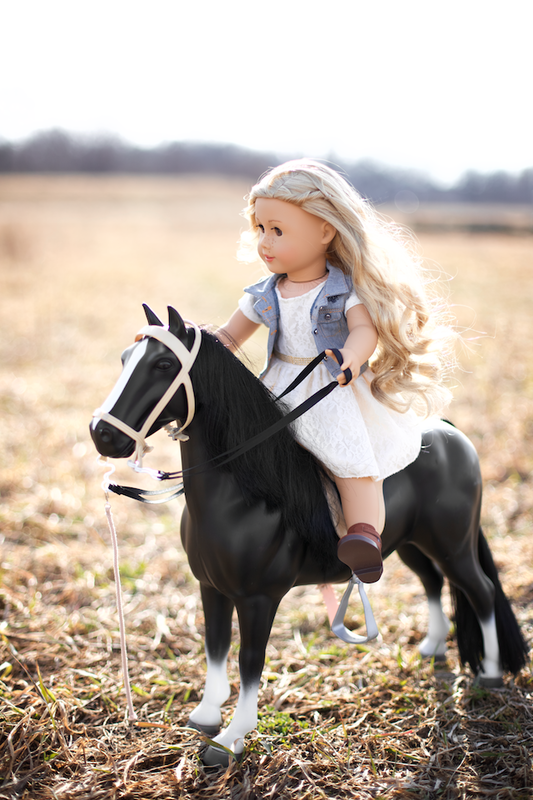 I've always loved that American Girl was just girl dolls, but it's cool, I'm flexible with change. And he's actually so, so cute. They did a great job with him. We were actually gone for the weekend IN Tennessee this past week at Winterfest in Gatlinburg with the youth group, and Tenney was waiting on the porch when we got home! It never gets old seeing that doll-sized box on my doorstep. My little 8 year old heart goes wild every time. 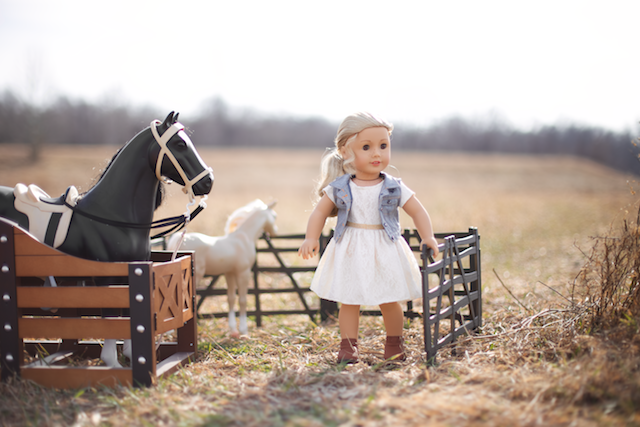 :0) And God blessed me with a day off from babysitting and preschool teaching, AND perfect weather for a little photoshoot with Tenney, so we got out the horses and went to a nearby field. 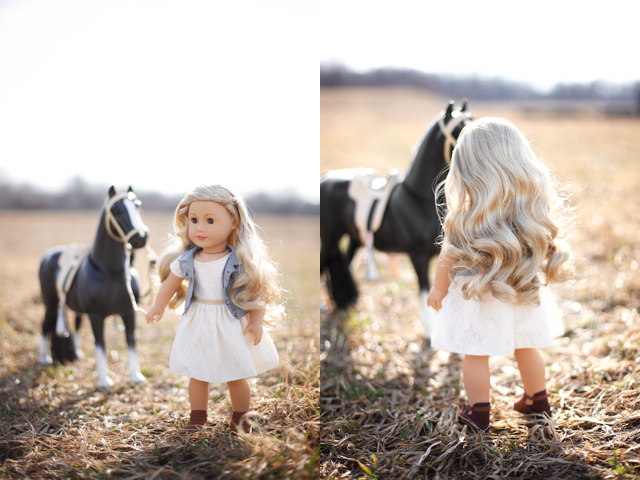 I love taking pictures you guys, even if it's just dolls. I'm so thankful that I have a camera! 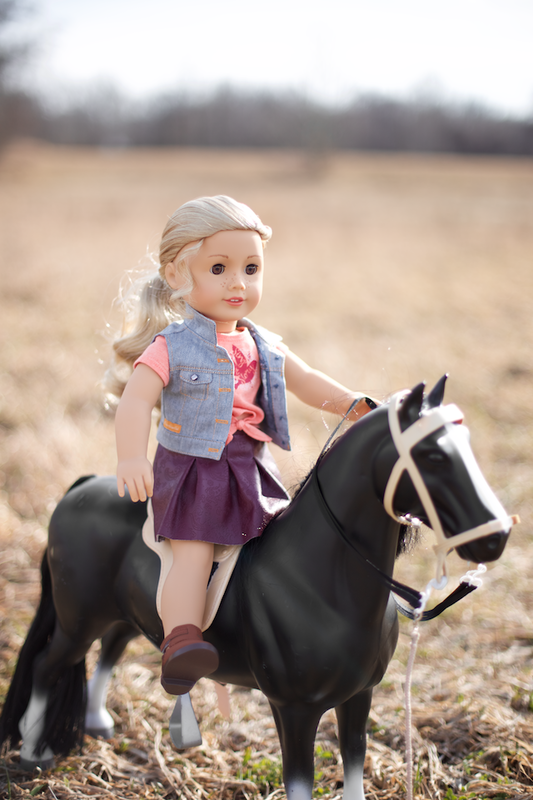 Ok, so here's a little info for doll collectors who care about this kind of thing: Tenney is similar to Caroline's mold, but with freckles, a mole, brown eyes, and a hint of shimmery lip gloss. Her curls are looser, and a bit darker blond. Her hand mold is slightly different, to allow her to hold her guitar pick (cool!) There is no perma-underwear on my doll (thank goodness) but I did notice that the cloth on her torso is a different material than usual-a bit lighter weight, and more easy to see through, which gives it a (very) slightly less smooth look. Vinyl/hair are the same great quality as ever. 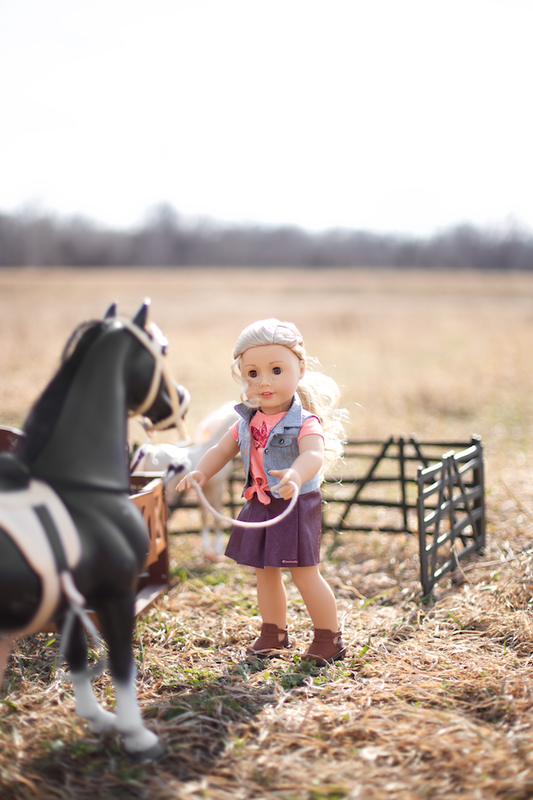 Thanks again, American Girl!! We are blowing you all the kisses!